My most favoritest forums have been going for some time and have had that light blue look for even longer. 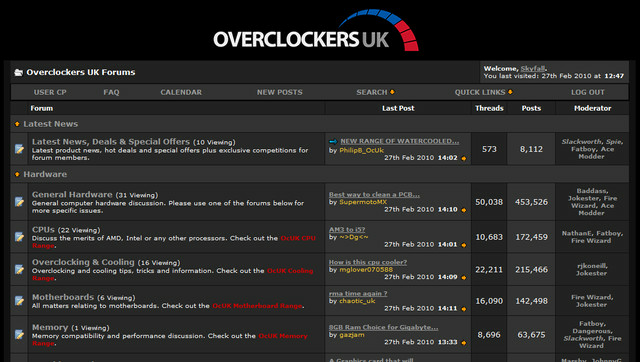 So if like me you’re sick of that garish blue then check out the links below to pimp out your Overclockers forums and make it a little more professional looking. To use this you will need stylish installed or know how to add style scripts to your browser. There’s a few different ways to install this, if you’ve got firefox and stylish then click here, for chrome click here.